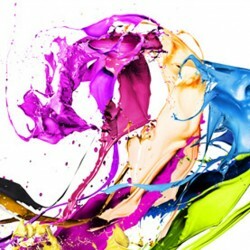 Before we get started, take a look at the image we’ll be created. 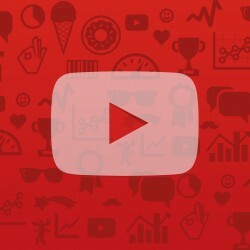 You also can view the actual size. Create a new document the size 1920 x 1200 pixels with a resolution 300 ppi and select white as the background color. 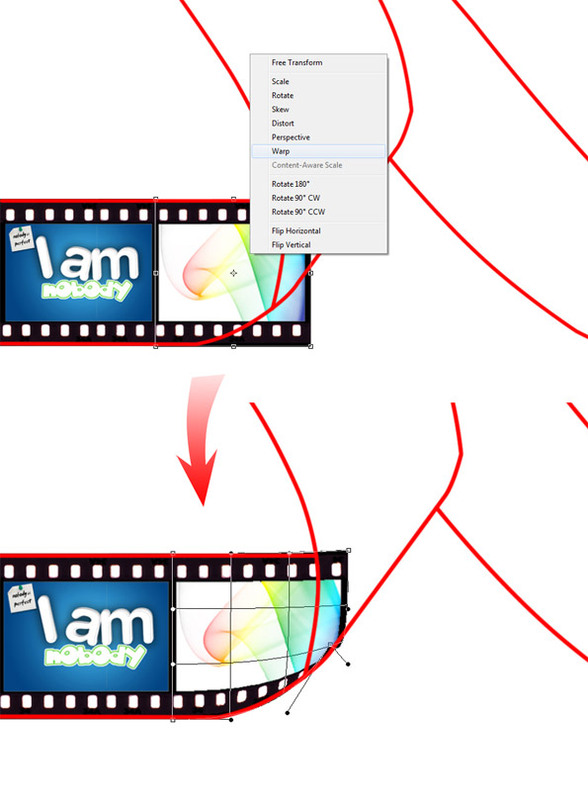 In this first step takes a little ability to use the Pen Tool (P), create a path like the following picture. Right click and select Stroke Paths with Brush tool, don’t forget to set the diameter of 5 px brush with 100% hardness and red as your foreground color. 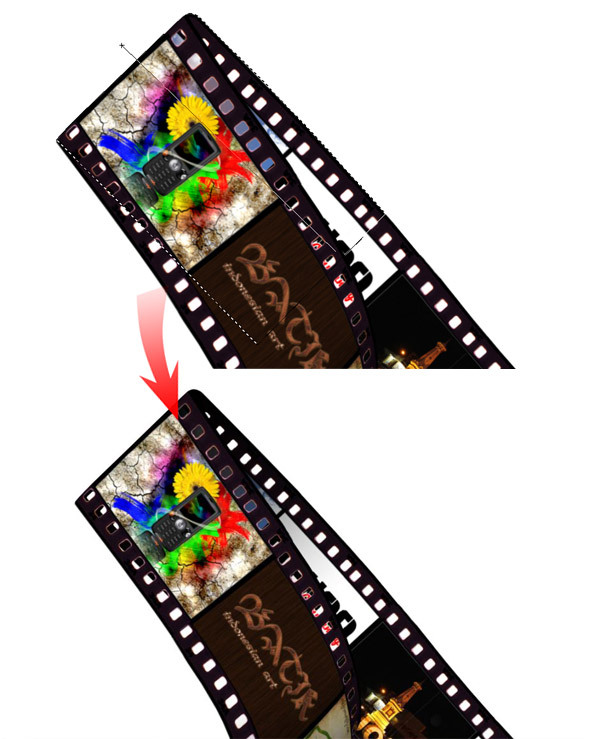 So we’ve created the strip as a guide to transforming our image. 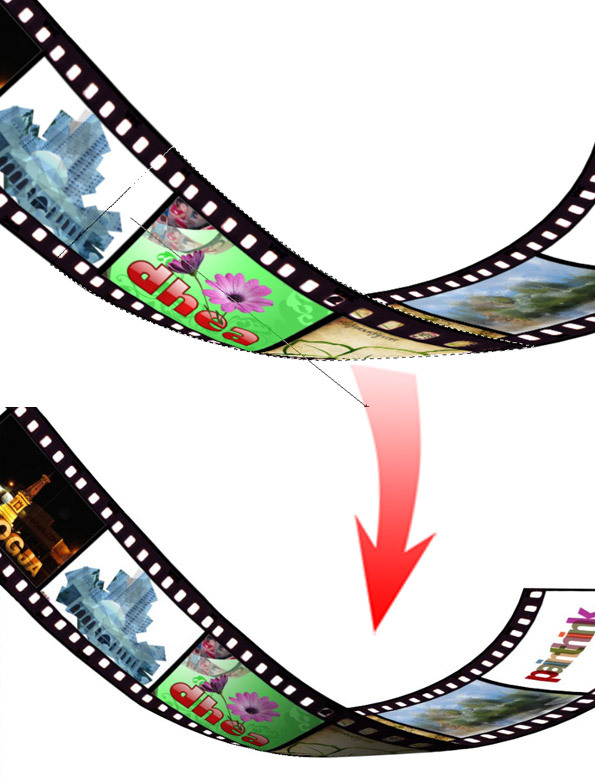 Open the film image with Photoshop, copy and paste in our document. In each box put the pictures and adjust its position to fit in the middle of the box. Separate the film one by one. 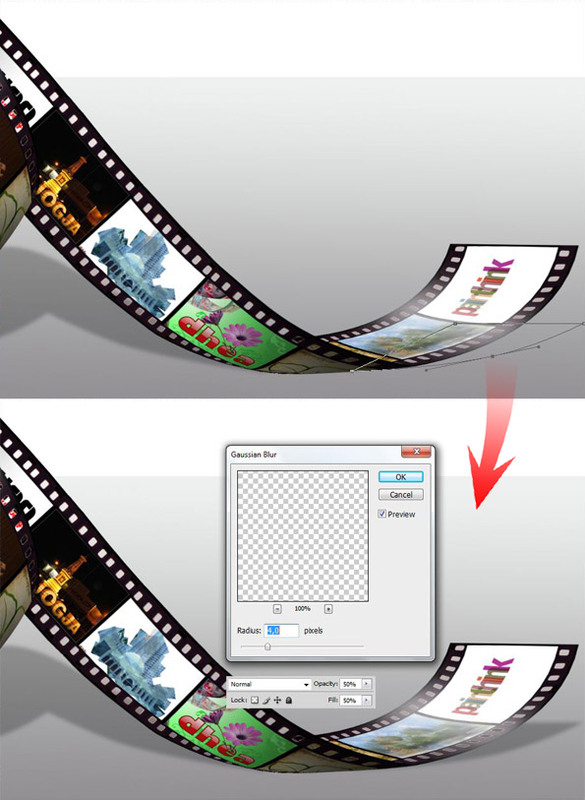 Film that its position lies on the curve, change shape with press Ctrl + T, right click on the ribbon of film and select Warp. 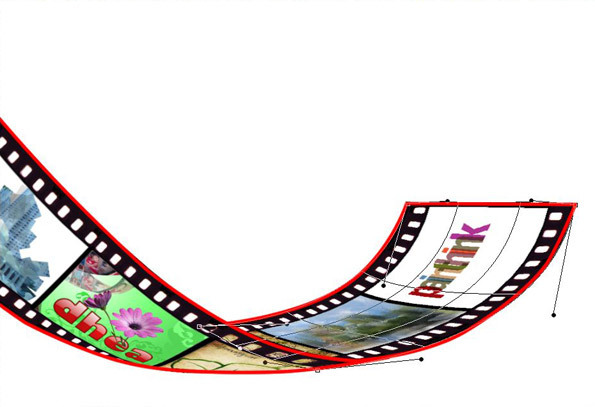 Drag each corner so that we find the edges of the film formed as the edge of the strip. For more details, see the following figure. 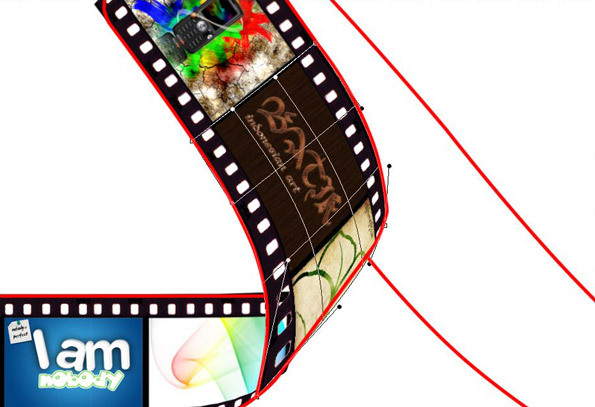 For the second curve we use two and a half film box, do the transform with the Wrap as in the previous step. 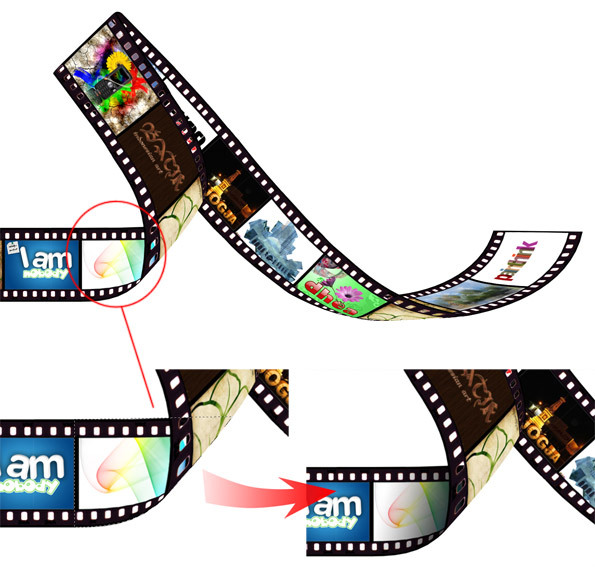 For the third curve we use five and a half film box, transform as shown below. 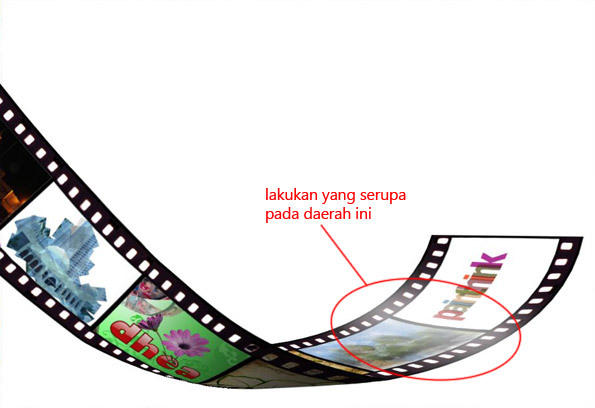 last curve of the film use two half-box, do the transform with the Wrap as in the previous step. 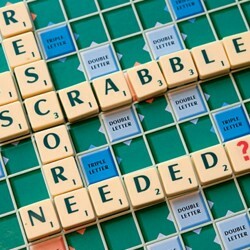 Until this step we get the following result. 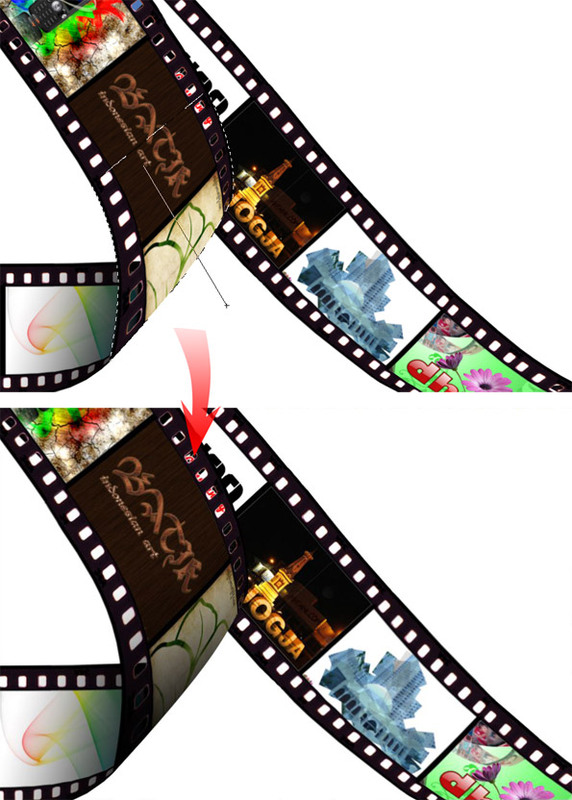 refine uneven edge of the image, so we find the following changes. 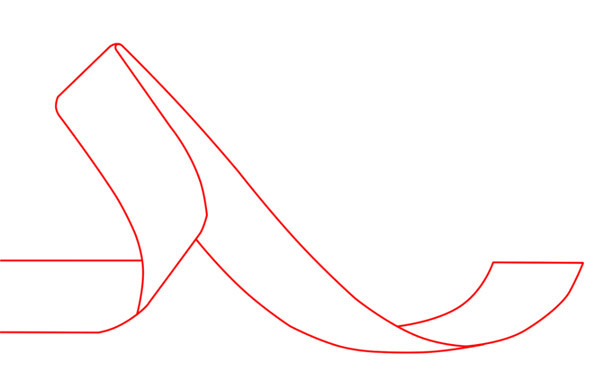 The next step is to create a shadow on the curve. Using the Pen Tool create a selection like the curve shape, then make a new layer above the layer that will be given a shadow, and after that create a gradient from #000000 to a transparent at selected area. 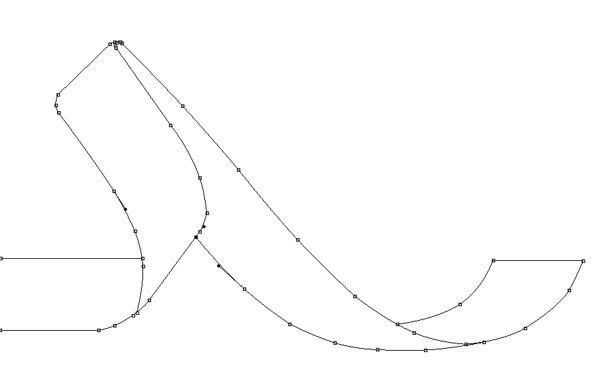 Do the same for the next three curve area. To make it seem real, we give the effects of light on some curved areas. Step, first make elliptical selection with Elliptical Marquee Tool. Click Select > Transform Selection and change the position and size selection as shown in the following figure. 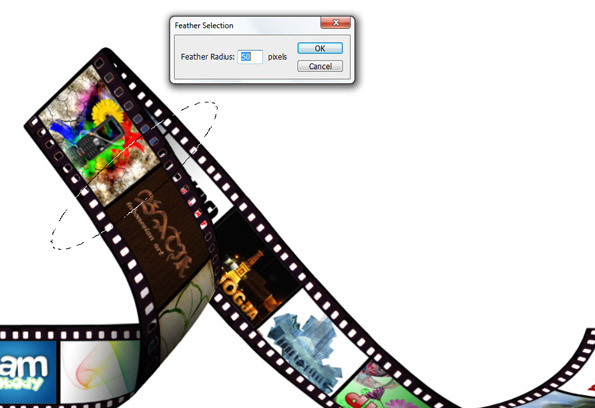 Then choose Select > Modify > Feather, set the radius 50 px. Create a new layer, put it at the top, fill with white # FFFFFF, change the Fill Opacity to 75% and then do the masking with the selection like the following picture. 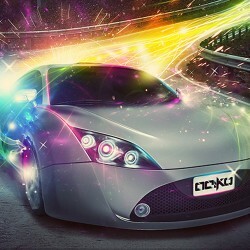 do something similar on the bottom curve, but this time change the layer Opacity to 90% and 94% Fill. 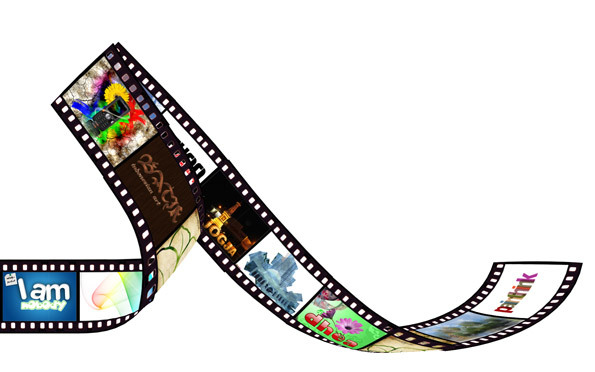 Next go to this film roll picture with Photoshop, copy and paste in our documents. 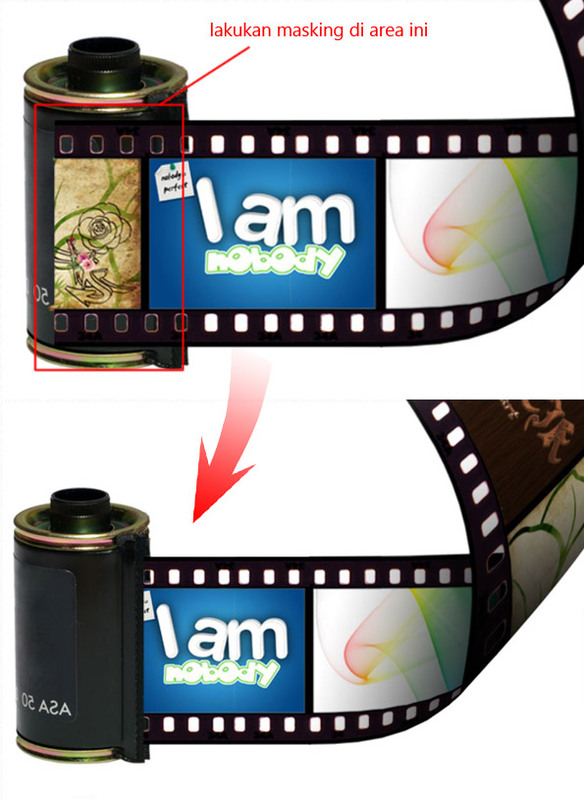 Put this film roll layer behind the photostrip image, then do the masking on the leftmost part of the image photostrip to appear out of the film roll. 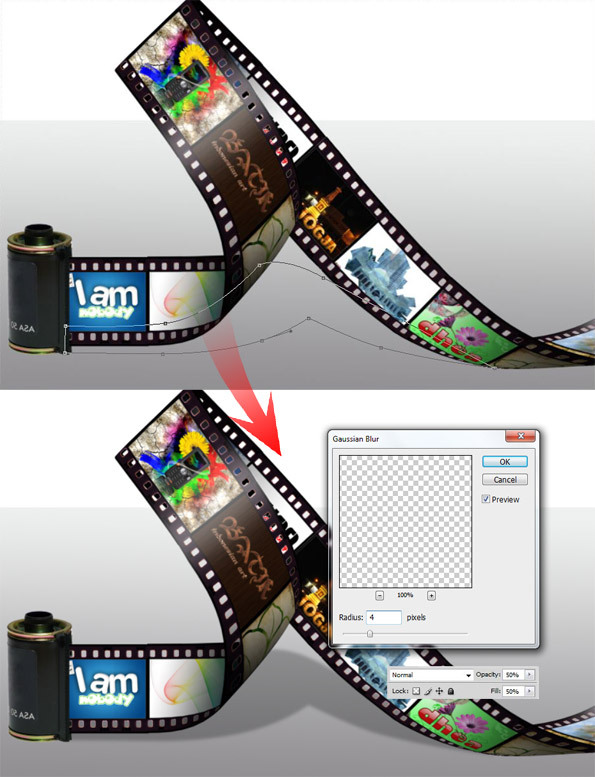 in addition to the layer mask you can also use the Eraser Tool to delete. 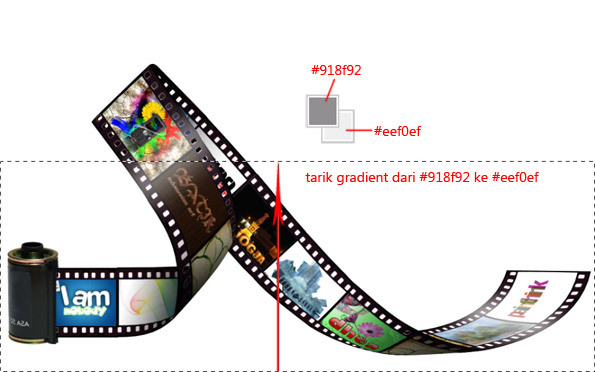 Make a selection on the bottom half of the document, then drag a linear gradient from bottom to top, from the foreground color #918f92 to background color #eef0ef. 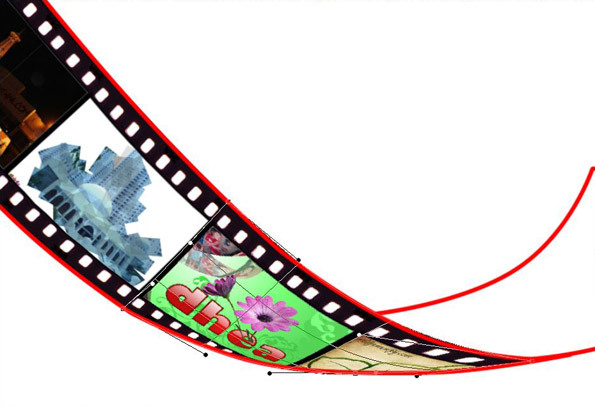 The next step is to provide a shadow on photostrip. 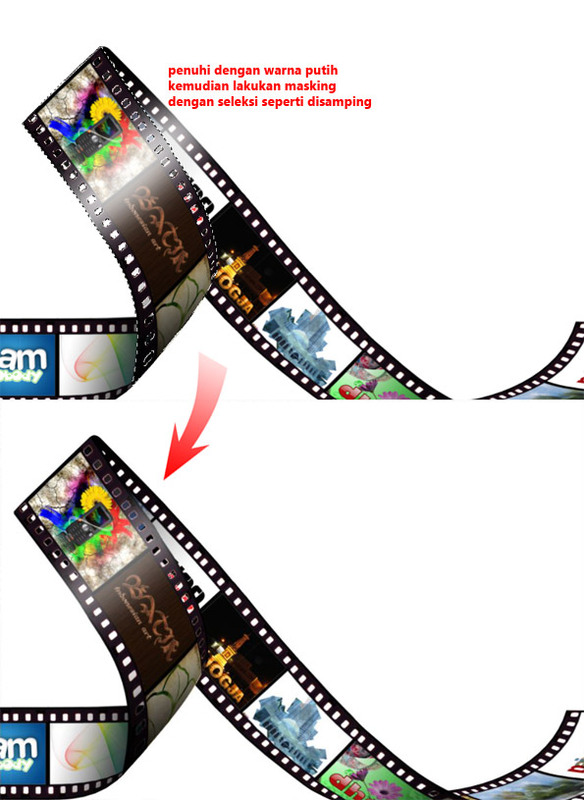 The first way create path as shown below, and then create a new layer behind photostrip. Fill the path with black #000000, set the opacity and fill to 50%, and then click Filter > Blur > Gaussian Blur, set the radius 4 px. Do the same for the left end. 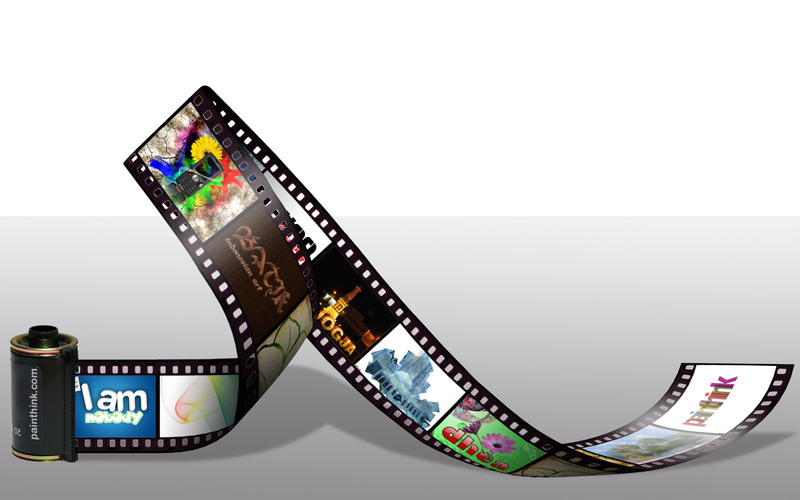 This is the end result of a photo gallery that we make. Try this trick to create a unique gallery for your image collection. Do not forget to subscribe to the Grafisia RSS Feeds. Nice idea for a tutorial. Cheers! Keren euy, Ntar mo nyobam tengkyu Gan…. 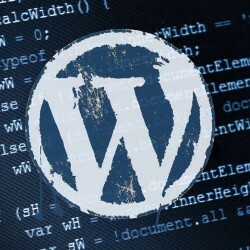 Nice work, but is there a automate or script for this? I tried multiple times, but im not good and it looks horrible.